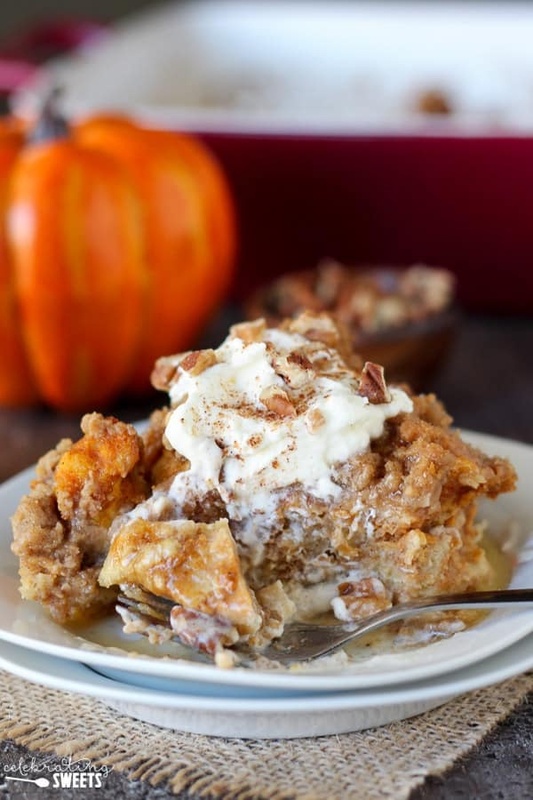 Baked Pumpkin French Toast Casserole By Allison | Celebrating Sweets. The inside is soft and fluffy with a crunchy brown sugar crumble topping. An easy breakfast, brunch, or holiday entertaining dish that can be prepped ahead of time.